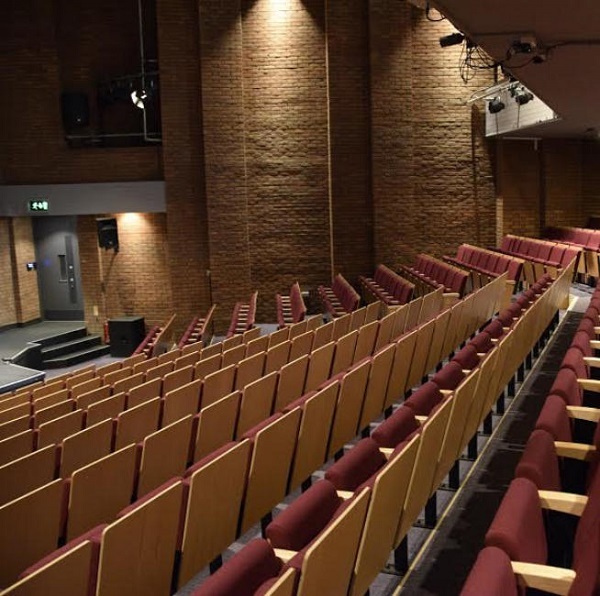 The Amey Theatre is a 400+ seat auditorium that was recently refurbished in 2015. 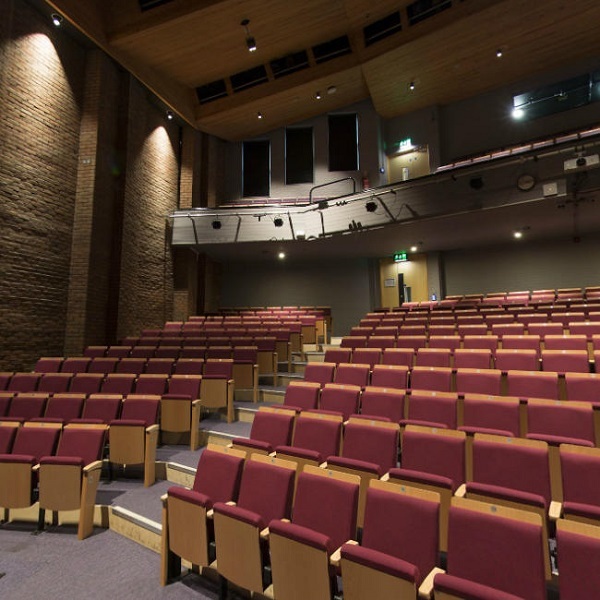 It forms part of the Abingdon School facilities and is a fantastic venue for lectures with a raised stage area, large projection screen, modern lighting and quality sound system. There’s a relaxed and friendly feel to the venue and there’ll be a bar selling a small range of beers, wines and soft drinks which you’ll be welcome to take through into the lecture. Abingdon is located just off the A34 and is easily accessible by car from Oxford (20 minutes), Newbury (25 minutes), Reading (45 minutes) and Swindon (50 minutes). All council-run car parks in Abingdon are free after 6PM and are just a 5-10 minute walk away from the venue. A full list of car parks is available here. Please note that the upper levels of the Charter multi-storey car park are locked at 7.30PM – which might make leaving after the event a little difficult! Subject to other events at the school, attendees are welcome to use the on-site visitor parking spaces however these spaces are limited and we would recommend you use alternative car parks in Abingdon town centre. The roads around the school are private property, parking is not permitted and wheel clampers are in operation. 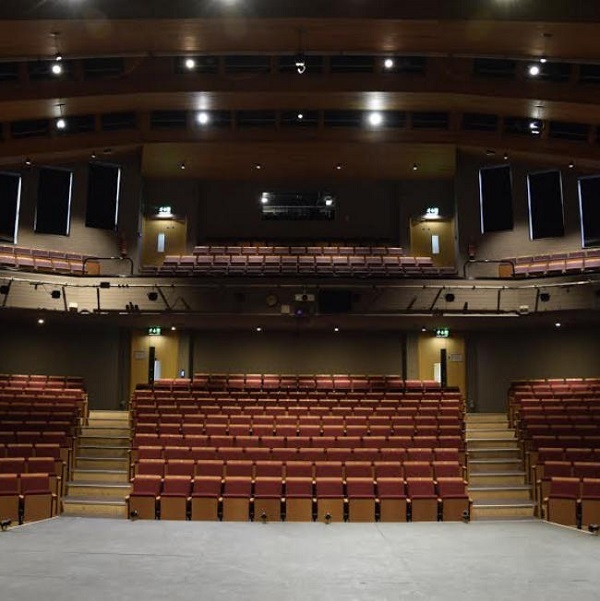 Travelling by bus to the Amey Theatre is a great option as there are regular links to Oxford and Didcot as well as many of the surrounding towns and villages. Almost all services will stop at the main set of bus stops on Stratton Way in Abingdon town centre which are just a few minutes walk from the venue. Further information on bus routes and timetables can be found here. The nearest train station is Radley however this is about 3 miles outside of Abingdon. Travelling to the mainline stations in Didcot or Oxford and then catching the bus to Abingdon, as above, may be a better option. The venue has 6 wheelchair spaces with step-free access available in the main auditorium, on-site parking and accessible toilet facilities. Please let us know if you’d like us to reserve a wheelchair space or on-site parking for you or any members of your party. If you’d like any more information, or if there’s anything else we can do to help, please don’t hesitate to get in touch.